idetect team is composed of dedicated and engaging professionals. 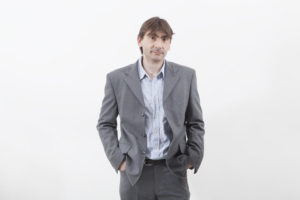 idetect is a product designed by a team of experts led by Olivier Merlan. 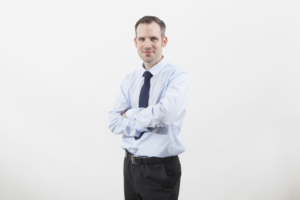 After having been in charge of implementing the first version of Europol Information System and the Overall Analysis System for Intelligence and Support at Europol and spent years as an expert consultant in financial crime, Olivier achieved a worldwide and comprehensive insight into the field requirements and challenges. He anticipated the need for a complete, innovative and game-changing tool. To conceive it, he surrounded himself with the best experts. After three years of intensive research, innovation and improvement, the idetect team launched the software. Five years of success, concrete changes and constant innovations later, the idetect team knows the software inside out and masters the best practices to implement it for the most demanding financial institutions. 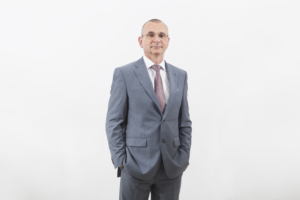 François worked for nearly 30 years in IT consulting and project management in both the financial and industrial sectors. He founded Logos ITS and became its CEO in 1998. Since 2013, François became a key player in the idetect story. Given his expertise in financial crime, Olivier anticipated the need for a complete, innovative, and game-changing tool. In addition to being a former Europol member in charge of the first Europol Information System and Overall Analysis System for Intelligence, Olivier is the Deputy CEO and the driving force behind idetect. 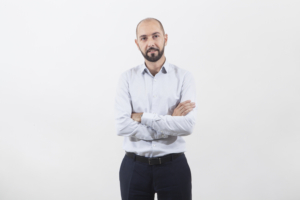 With over 15 years of experience in financial and industrial performance/risk management, Cédric—our Chief Analytics Officer—is the key contact point for a large range of financial institutions worldwide. Cédric travels the globe to deliver solutions that leverage the full range of idetect’s capabilities. Named one of the "Top 40 under 40" in Germany by Die Welt Magazine in the field of science, Holger joined idetect to leverage Machine Learning and Artificial Intelligence technology to enable new, scientifically solid, high-quality solutions and ensure a continuous breakthrough in financial crime detection. With more than 15 years of crime detection technology expertise including Schengen Information System and Norkom, as Chief Technical Officer, Sébastien ensures the highest technological, performance and quality standard in the domain of software engineering. 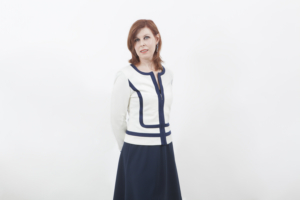 Corinne is a renowned expert in the domain of data quality, testing, and software integration. In charge of all aspects related to quality assurance and control as well as product configuration, she ensures the technology is always delivered at its best whatever the challenges may be. Choosing idetect is a safe investment. Our project management team, product consulting teams, and senior consultants guide you through all phases of the implementation process. We start by dedicating sufficient time to thoroughly comprehend your daily issues and needs. This enables us to fully understand why you need idetect and how it can best address your business issues and processes. On our side, we provide demonstrations, lectures, and hands-on exercises that are focused on both the technical facets of idetect as well as best practices in terms of usability. Regarding timeframes, we work with you and your team to establish implementation milestones and to ensure a successful delivery. We are dedicated to making your experience with idetect a productive and beneficial one. After the implementation process, our dedication doesn’t fade. We ensure that our clients have acquired the knowledge and skills they need to use idetect efficiently. We offer a wide range of support & maintenance options. Our professional support teams provide you with information, technical assistance, information on software updates and releases. We answer all questions related to product functionality and suggest improvements for your applications. Our support and maintenance services are open 24 hours a day, seven days a week, 365 days a year. We solve virtually any request concerning help desk and user support, technical support, and access to product updates.